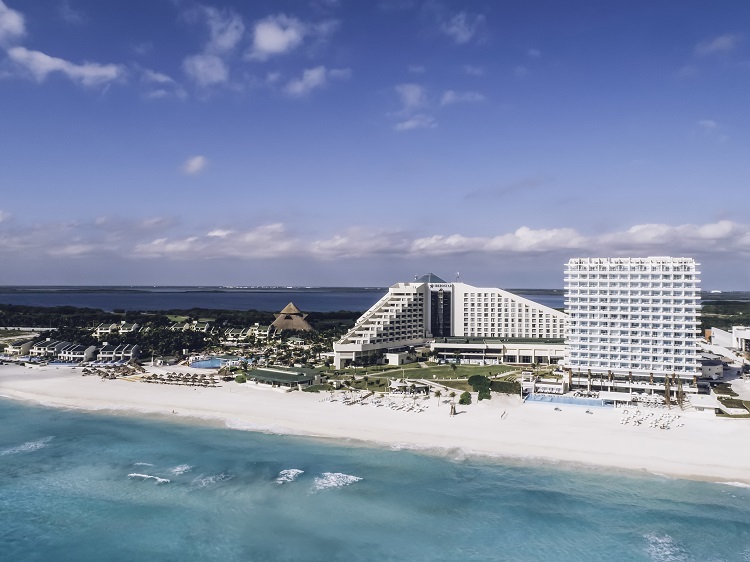 For travelers who desire adults-only luxury, Iberostar Cancun Star Prestige all inclusive vacations have what you need. 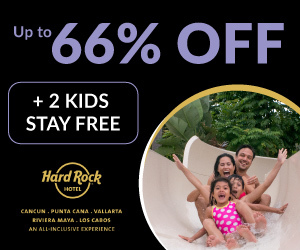 Located around 15 minutes from Cancun International Airport, this seaside haven offers a resort experience that’s nothing short of amazing. 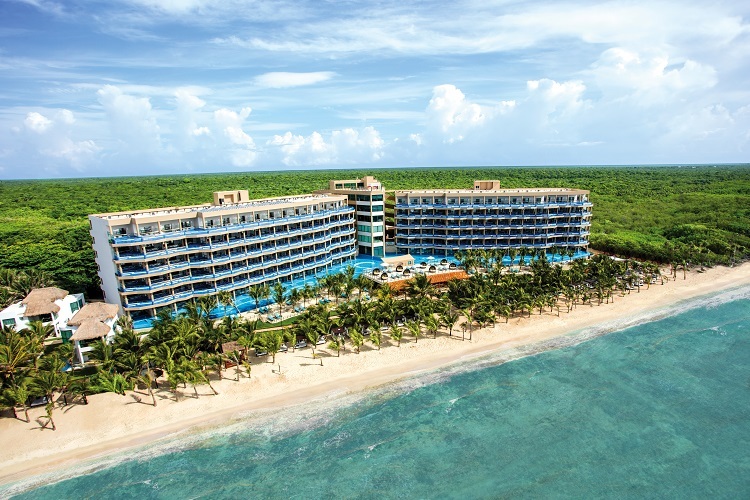 Plus, guests have access to the neighboring Iberostar Cancun for double the amenities and services. 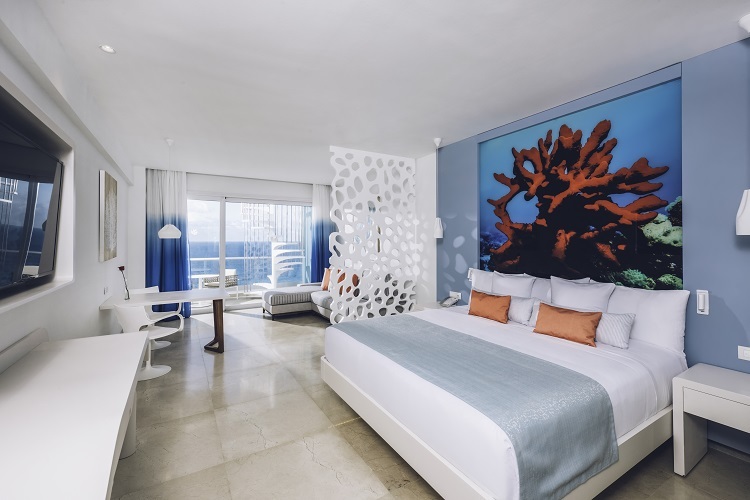 156 spacious suites are designed with cool Caribbean tones for a calm, relaxed vibe. You’ll enjoy sweeping ocean views from your private balcony while you ease into the whirlpool tub. Other amenities include a welcome bottle of cava, smart TV, 24-hour room service, mini bar, and more. Rooftop suites feature your own terrace with sun loungers, a private pool, and panoramic views to make your stay even more special (we wouldn’t be surprised if this becomes your favorite spot at the resort!). 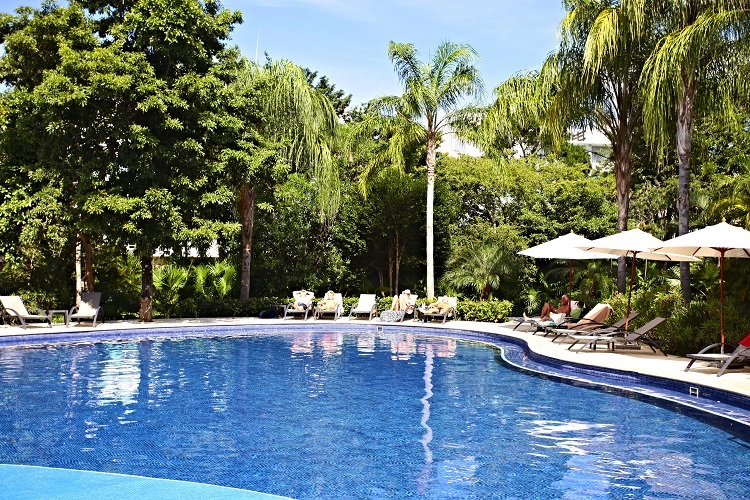 Iberostar Cancun Star Prestige offers a savory gastronomic experience. Continue to enjoy those ocean views as you satisfy your hunger with a la carte or buffet-style dining. You can also visit the Snack-Bar for meals or quick bites while sipping on your favorite cocktail. 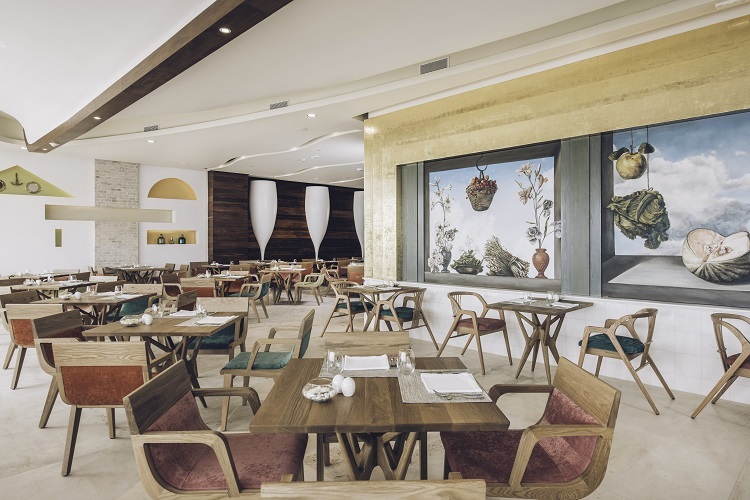 At Iberostar Cancun, additional options include a steakhouse, Hibachi restaurant, and world-class cuisines like French and Mexican. Starcafe is open 24 hours so you can grab a cup of coffee or a pastry at any time. The resort’s beachfront pool is the perfect spot for stretching out on a sun lounger as you gaze out onto the ocean. 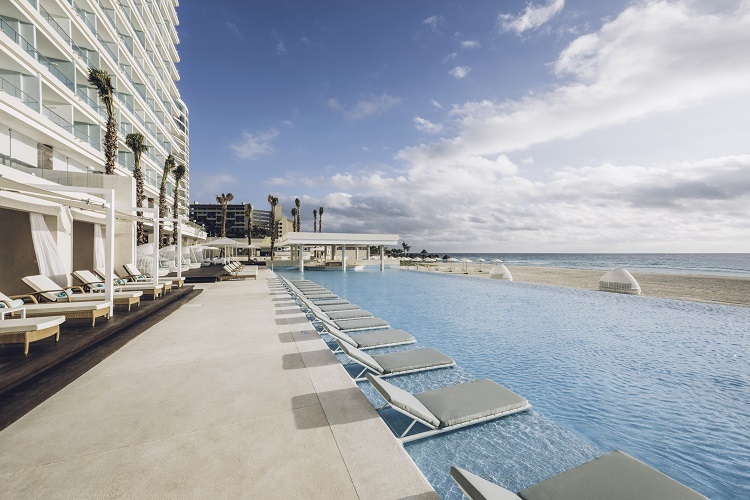 Those powder-white sands are only steps away and you can also head over to Iberostar Cancun and find your spot at one of their pools. If you’re a golfer, be sure to bring your clubs and make time for a round at Iberostar Cancun Golf Club. Take in the lush vegetation and more ocean views as you play through this 18-hole course designed by Isao Aoki. When you need a break from the sun, Spa Sensations offers a number of relaxing treatments. Their hydrotherapy area is great for soothing sore muscles while a Shiatsu or Ayurvedic massage relieves any tension you’re carrying. Other options include a variety of body scrubs and beauty services. History buffs can visit the Mayan Museum of Cancun to learn about Quintana Roo and Mayan civilization. Admire ancient temples at Chichen Itza or take a unique look into Mexico’s past and culture as you explore an underwater museum of over 500 sculptures. Adventure lovers can book a jungle tour to enjoy nature and catch a glimpse of some of the region’s wild animals. You can also snorkel among beautiful reefs or take a refreshing swim in a cenote. The shores of Mexico are a wonderful choice for a beach destination wedding. 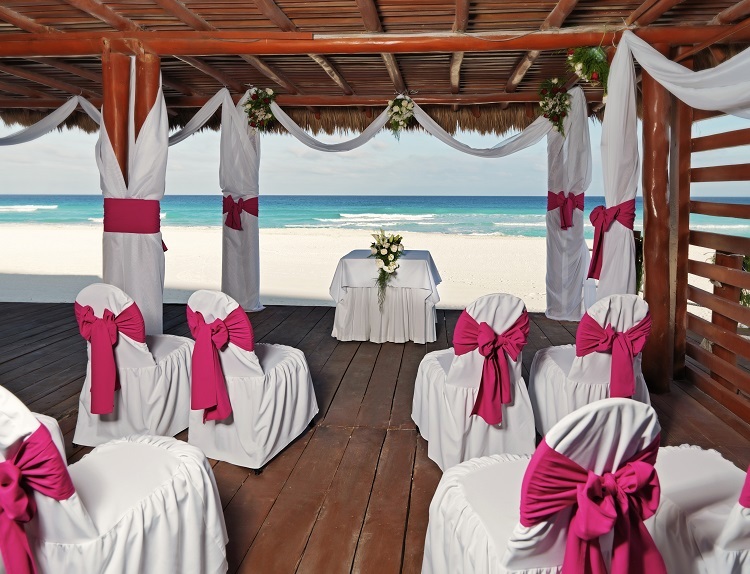 Iberostar Cancun Star Prestige offers wedding packages to help you experience your dream day. Each package includes essentials like wedding venue setup, cava toast, bouquet and boutonniere, wedding cake, and more. Plus, the help of an onsite wedding specialist will make sure all of your needs will be taken care of throughout the entire planning process. Your guests will be delighted by the sophistication and impeccable attention to detail while you celebrate your new beginning. Along with weddings, Iberostar Cancun Star Prestige can help you create other heartfelt celebrations like romantic evenings, vow renewals, and honeymoons. 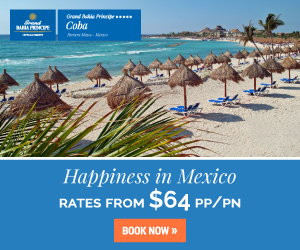 Iberostar Cancun Star Prestige all inclusive vacations are great fit for singles, couples, or friends. 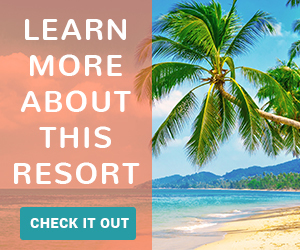 If you’re looking for the best prices, visit All Inclusive Outlet and search through the best discounted vacation packages for your Caribbean getaway.